The advancing process of globalization (mundialization) sets up new conditions for individuals, living in rapidly changing societies, to organize personal perceptions of cultural identity. This exploratory study is based on qualitative questionnaires with 14 young adults either from Senegal or from France and from different educational levels; and on a focus group with three participants linked differently to both national cultures. The aim of the current study is to discover the dialogical processes within the respondents’ self-reflections that coordinate the relations between local and global I-position and the effect school education has on this. It was found that school influences the participants’ perspectives on globalization, particularly the Senegalese’s ones, towards more local awareness and critics of global political structures, like neo-colonialism. In general, young people are aware of globalization influences, but also integrate some elements of different origin in their everyday life, so that these elements become invisible in a coherent mosaic of cultural identity. 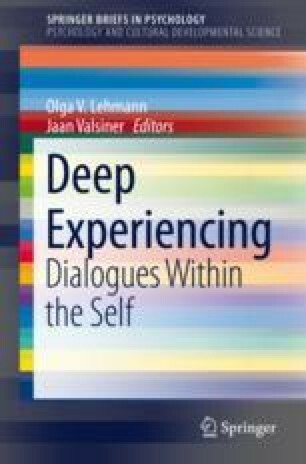 Earlier version of this chapter was presented at the 9th International Conference on Dialogical Self, Lublin, September 9th, 2016 at the symposium New Voices in the Dialogical Self. The support by the INSIDE Unit of University of Luxembourg is gratefully acknowledged. I thank Jaan Valsiner for his valuable assistance and insights during the whole project. Chen, S. X., Benet-Martínez, V., & Bond, M. H. (2008). Bicultural identity, bilingualism, and psychological adjustment in multicultural societies: Immigration-based and globalization-based acculturation. Journal of Personality, 76(4). https://doi.org/10.1111/j.1467-6494.2008.00505.x.